Learn how to access online conversations relevant to your business. Tailor Brands is a revolutionary branding platform that allows clients in over 35 countries across the world to design everything their business needs with zero effort and minimal costs. Using machine learning they create unique, beautiful logos and brand identities within minutes. We use Brand24 to find social alerts and new audiences to engage with our brand. 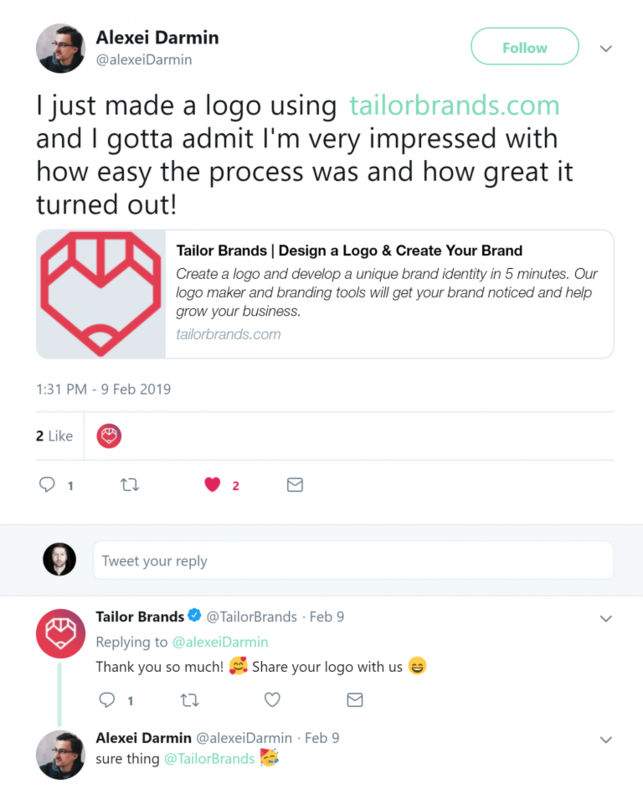 Why Tailor Brands Use Brand24? We use Brand24 to find social alerts and new audiences to engage with our brand.Between 2-3 times a day, we make sure to check in on our SM mentions and see if there are any relevant conversations going on that we can join.We're always ready to jump into a conversation if it involves users discussing our products. Our users often take to social media to hash out the good, the bad and the ugly, and we like to be present for all of it. Whether they're experiencing problems or making cool suggestions, it's important for us to respond - reacting to their comments and making our customers feel like their needs are answered.A good example of this is when we had a potential user on Twitter that was considering two different branding companies. We received the alert and joined the conversation, showing him what we could do for his business. Suddenly, we had another happy customer! Between 2-3 times a day, we make sure to check in on our SM mentions and see if there are any relevant conversations going on that we can join. We're always ready to jump into a conversation if it involves users discussing our products. Our users often take to social media to hash out the good, the bad and the ugly, and we like to be present for all of it. Whether they're experiencing problems or making cool suggestions, it's important for us to respond - reacting to their comments and making our customers feel like their needs are answered. A good example of this is when we had a potential user on Twitter that was considering two different branding companies. We received the alert and joined the conversation, showing him what we could do for his business. Suddenly, we had another happy customer! "It's key to listen to your users and learn what they like." 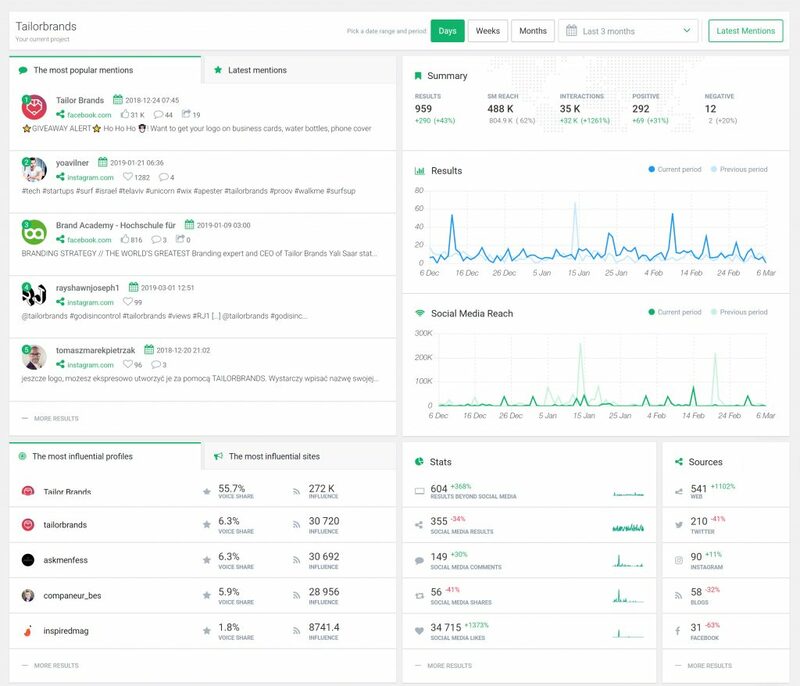 What is your main value in tracking online mentions? I think for any brand that's interested in growth, it's key to listen to your users and learn what they like - or don't love - about what you have to offer. We always want to hear what our users have to say, and tracking online conversations is a great way to get a birds-eye view of what's working for them and what's not. And, I have to say, some of our coolest ideas for our products came from listening to our users online. "Some of our coolest ideas for our products came from listening to our users online." My personal rule of thumb: Less is more! SMM shouldn't post on social media 'just to post' - that doesn't accomplish anything helpful for your brand. In fact, if you're not posting relevant content that'll provide some sort of added value to your users, you actually run the risks of negatively impacting engagement and hurting your brand's overall image. It's better to share one, earth-shattering (read: engaging) piece of content a week than four mediocre posts that may or may not miss their mark.